Catering to the serious thrill seeker or dedicated beach bum, Bali is a holidaymakers dream. Offering a variety of accommodation options from luxury 5 star resorts and romantic self contained villas to family friendly hotels and budget accommodation, Bali has something for all. 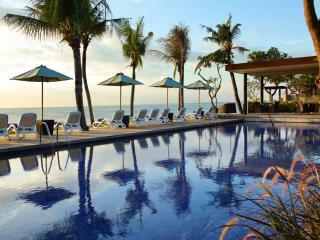 Search by location, ratings, popularity and style across our comprehensive selection of Bali hotels and specials. Search for your dream accommodation according to price, region and star rating. Use our location map to refine your holiday pursuit. Discover the islands most popular regions to determine your perfect Bali destination. Browse the incredible range of resorts and villas to uncover the tropical paradise that awaits. 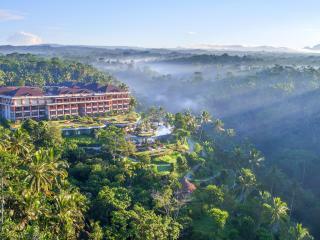 Just started planning your Bali holiday and don't know where to begin? Consult our comprehensive list of Bali's top 10 resorts based on price, popularity, star rating and amenities to find your dream accommodation today. 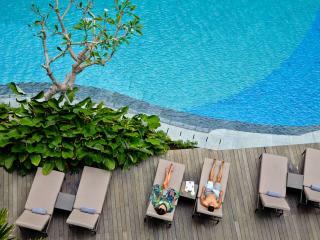 Make the most of your Bali holiday and discover our exclusive holiday packages. Expertly curated to combine travel essentials with added extras to save you time and money.